DETROIT, Nov. 11, 2015 /PRNewswire/ -- More than 150 exhibitors from 20 nations will be participating in the premiere of ALUMINUM USA, which will take place in Detroit on 11 and 12 November. With this new trade show, the world's third-largest aluminum market will get its very own industry meeting place. A glance at the list of exhibitors indicates just how interested the industry is in the event. Besides key US players such as ABB, Aleris, Almex, Bloom Engineering, Granco Clark and Wagstaff, numerous companies from Canada, Europe and Asia will exhibit in Detroit, including UACJ from Japan, SMS from Germany, Danieli & C. Officine Meccaniche from Italy and a large group of companies from Turkey. Nearly two-thirds of all exhibitors will make the trek from outside the US to showcase their innovations and products in this expanding market. The US Aluminum Association is supporting the show. At ALUMINUM USA visitors will find suppliers of raw material, semi-finished and finished products, surface treatment and producers of machinery, plant and equipment for aluminum processing and manufacturing. The exhibitors will focus on lightweight and sustainability – especially for the automotive and transport sectors. "ALUMINUM USA is literally in our back yard, as Granco Clark's headquarter is located just a few hours Northwest of Detroit. Conversations with customers, to understand their needs and desires, are a must to design, fabricate and refine the type of product offering customers have come to expect from Granco Clark. The Detroit show provides another opportunity for doing just that," adds Michael J. Werner, Sales Director of Granco Clark. At ALUMINUM USA Granco Clark will show the full package of extrusion equipment and display their new "Long-Life" roller technology for billet/log furnaces. Eco-friendly and energy-efficient processes are central to the trade fair appearance of the SMS Group, for instance. In addition to the "Hertwich ECOMELT," an aluminum melting furnace with low energy consumption, the company will showcase HybrEx® in Detroit, its latest generation of energy-efficient extrusion presses. BWG Bergwerk- und Walzwerk-Maschinenbau GmbH, a provider specializing in complex process lines for the aluminum industry, will also introduce its newly developed products. The spotlight will be on patented special designs for thermal process technology and new line-connecting technologies. New slab shears, which were just developed for a large US customer, are sure to become another exhibition-booth highlight. Like Alcomet from Bulgaria, which will present roller and extrusion presses in Detroit, many exhibitors aim to use their time participating in ALUMINUM USA to gauge the needs of the American market. ALUMINUM USA will host the ALUMINUM Forum at Booth #1210. On November 11, The Aluminum Association will host a panel on aluminum in automotive, with Alcoa and Sapa presenting latest innovations. Matthias Kapp, Engineering Manager Automotive at the Sapa Group will present on "Aluminum Extrusions: Added Flexibility in Aluminum Design" and Alcoa's John Thomas, Global Marketing Manager Automotive will introduce "Alcoa Micromill™: Manufacturing the Most Advanced Aluminum Sheet on the Market".On November 12, the Aluminum Forum will continue with presentations from suppliers, including MINO, Taylor-Winfield Technologies, Permatech, emmebi, Almex USA, ISRA Vision Parsytec, SES Salico Finishing & Processing, CUBE Trevision, Laserax, GLEICH Aluminiumwerk, and Granco Clark. Kicking off the first ALUMINUM USA will be the North America Automotive Lightweight Procurement Symposium 2015, which will take place in Detroit from 9 to 11 November. Organized by AluMag, the symposium is the only international seminar and exhibition event covering lightweight automotive construction. On tap will be keynote speeches and presentations by executives from the automotive and automotive-supplier industry. Lightweighting, supply chain and procurement management will be the main theme and localization, best buy country and make or buy are some of the topics to be presented. OEMs will express their needs & expectations from the supplier and technology as well as lightweighting side while Tiers will showcase their leading weight reduction solutions, joining technologies, material and process hybrid components. The Opening Keynote will be held by Craig Renneker, Chief Engineer, New A/T Programs & Component, Ford Research & Innovation Center. He will report on "Lightweight Transmission & Driveline Components: Practical Challenges". 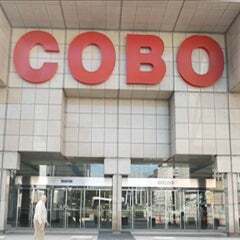 The first ALUMNUM USA will take place at the Cobo Center in Detroit on 11 and 12 November. 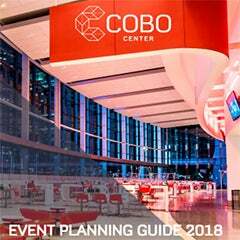 Adding the new trade show to its portfolio, Reed Exhibitions – the world's largest organizer of trade fairs and conventions – continues to expand its global operations. ALUMINUM USA joins the ALUMINIUM World Trade Fair in Germany (Dusseldorf) and aluminum shows in China (Shanghai), India (Mumbai), the United Arab Emirates (Dubai) and Brazil (Sao Paulo) as the sixth industry event. 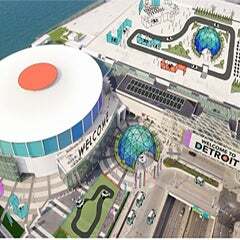 The trade show is slated to take place in Detroit every other year from now on. The show is organized in cooperation with the Aluminum Association, the US industry's trade group.